Rumors have been going for some time now about Microsoft investing in smaller Windows 8 tablets, and it looks like Amazon has accidentally let loose proof that they exist. 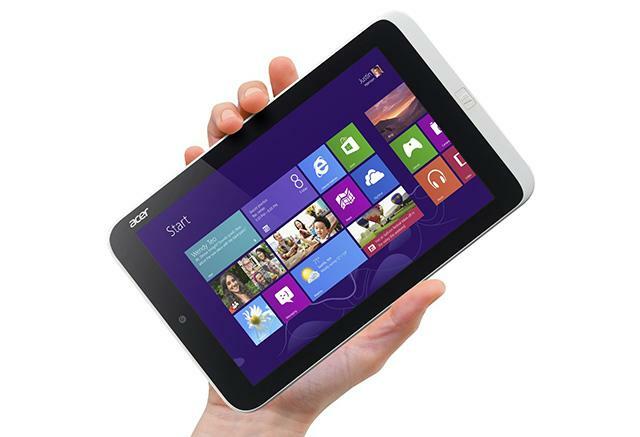 After a fluke on its website, Amazon leaked a look at a new moderately priced tablet by Acer featuring full-blown Windows 8. While the link disappeared rather quickly, a lot of people still caught a look of the new Acer W3-510, a new 8.1-inch tablet that the major online retailer listed for $380. The W3-510 wasn’t one of of the new laptops or tablets announced by Acer at its big press event on Friday, but it’s the first evidence we’ve seen of such devices actually existing beyond speculation. While we’re not sure what caused the fluke for Amazon to reveal the tablet for sale (though we’re guessing they thought it was part of Acer’s lineup), it’s impressive to see Microsoft and its partners shooting for miniature Windows 8 tablets in time for graduation and summer, and evidence that Microsoft is not about to give up on Windows 8. Though Acer has yet to share it’s own information on the new tablet, there are likely other similar devices in the making from other manufacturers. It’s also sort of interesting Acer named the new 8.1-inch tablet in reference to its recently released Acer W510, a convertible tablet also running Windows 8. Both devices run the latest Intel Atom Clovertrail processors, and like other devices such as the Envy X2, they trade performance in exchange for portability and battery life. This is likely because both devices run extremely similar hardware and software, though the W510 has a sleeker design, and obviously, is much smaller. While the Clovertrail processor is perfect for competing against the ARM architecture and its attractive battery life and versatility, Windows 8 has yet to get the grooming iOS and Android have had, though Windows Blue hopes to help change that for the better in the coming weeks. We’re not exactly sure if customers are ready for Windows 8 in the same size experience as the iPad Mini, but Acer’s price point might be willing to convince some people otherwise. Though $50 more than the iPad Mini, the W3-510 does come with a full Windows 8 experience, which can be a worthy investment for those considering it. Then again Windows 8 is far from fully integrated for the mobile user and has a lot of headway to make. In either case, It looks like Microsoft is ready to take the plunge into miniature tablets and prove once and for all Windows 8 is the way to go from your palm to your PC.